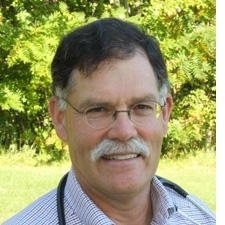 A native of northern Maine, Dr. Ouellette graduated from Madawaska High School in 1986 and went on to complete his undergraduate studies at McGill University in Montreal, earning a degree in Microbiology and Immunology. In 1996, he earned his veterinary degree from the Atlantic Veterinary College in Prince Edward Island, Canada and followed with a one year internship in small animal medicine and surgery at the Western College of Veterinary Medicine in Saskatoon, Saskatchewan. 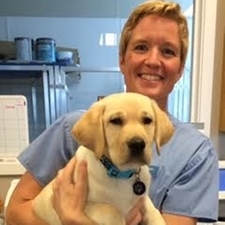 Dr.Ouellette has practiced in southern Maine since moving back in early 1998 and became owner of Casco Bay Veterinary Hospital in March of 2005. He lives in sunny Saco, Maine with his wonderful family and assortment of furry friends, and is a passionate amateur photographer in his spare time. When not at work or spending time with his friends and family, you can usually find Dr. Ouellette fishing in the local waters of Saco and Casco Bay. Dr. Ouellette practices general medicine and surgery at Casco Bay and has a special love of soft-tissue surgery. 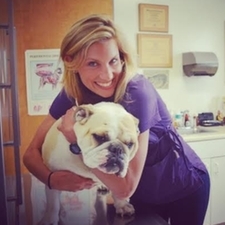 Dr. Leven received an undergraduate degree in microbiology and then attended veterinary school at the Univerity of Wisconsin, graduating in 1995. She then completed further training in medicine and surgery at the veterinary schools on Prince Edward Island and in Saskatchewan, Canada. She is originally from Sweden, and moved to Maine in 1998. Prior to joining the crew at Casco Bay, she worked for 11 years at a local emergency and critical care hospital. She enjoys skiing, hiking, yoga, and spending time with her family. Dr. Leven practices general medicine and surgery at Casco Bay and excels in cases involving critical care. Dr. Robbins received his Doctor of Veterinary Medicine from UC Davis in 1977. After graduating he completed an internship in large animal medicine at Cornell in Ithaca, NY. He completed his residency in large animal medicine at the University of Florida in Gainesville, and then at a large animal practice in San Diego, CA. 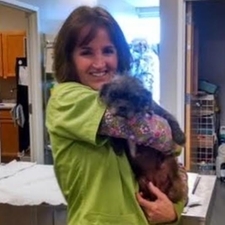 For ten years Dr. Robbins worked in small animal emergency and critical care in San Diego. He owned a private practice for small animals in California for 15 years. 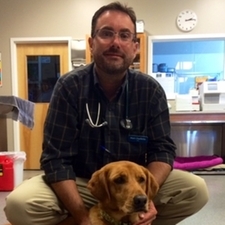 After moving to Maine in 2005, he began working at Casco Bay Veterinary Hospital in Portland, and in addition at Standish Veterinary Hospital in 2006. His main areas of interest are internal medicine and ultrasonography. Dr. Robbins has a special interest in diagnostic ultrasound and provides referral services in this field to many local clinics. He excels in cases requiring complex critical care, and has a special interest in advanced dentistry cases. Dr. Jessica van Binsbergen grew up in East Hampton, NY. She received her bachelor degree in Neuroscience from the University of Rochester in 2006 and her veterinary degree from the University of Edinburgh, Scotland in 2010. Initially after graduating she volunteered as a veterinary surgeon for a spay and neuter program in Costa Rica for a few weeks. She then worked as an associate veterinarian in Hoboken, NJ for a little over 3 years. 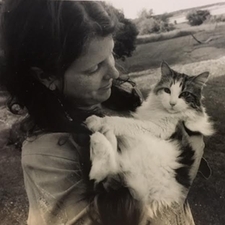 Following that she did relief work at a large animal shelter in Brooklyn, NY and worked as an associate at an AAHA accredited hospital in Wainscot, NY near her home town. Right before joining CBVH, she worked for 5 months as the sole veterinarian at a small animal practice in Edinburgh, Scotland. She has one spoiled orange tabby cat named Nacho. And In her spare time she loves hiking, running, camping, cooking and exploring Maine. Dr. Van Binsbergen practices general medicine at Casco Bay Vet. 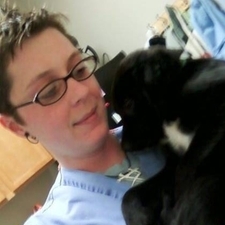 A native Mainer, Heather has worked in veterinary care all of her life. She has a love of all creatures great and small, and when not running the technical operations at Casco Bay she can often be found wandering the wilds of southern Maine photographing and enjoying nature. Heather has a special fondness for birds and her pet chickens, she has rescued countless creatures over the years often rehabilitating and providing shelter for those in need. She has a bit of "animal whisperer" in her as she deals with pets and wildlife alike. Heather has been lead technician at Casco Bay for over 15 years and is an invaluable member of our team. 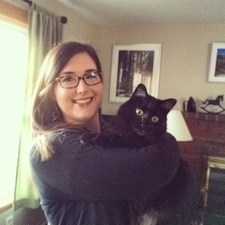 Kim grew up in Downeast Maine before receiving her degree in Veterinary Technology. Her special interests are in surgery and dentistry. She has extended training in dentistry and considers this her passion. In Kim's leisure time she enjoys an occasional round of golf, cruising Casco Bay with her husband in their 1964 Old Town Runabout wooden boat, spending time with family/friends and discovering the next great Irish Pub. Kim and her husband have had the joy of caring for and loving two dogs, five cats and one rabbit. 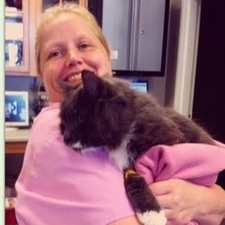 Kim is looking forward to another rewarding career with the great staff at Casco Bay Vet! Kim received her degree in Veterinary Technology in Holyoke, MA. Kim has extended training in veterinary dentistry and a certificate in laser therapy. She started her career in Falmouth 33 years ago before recently joining the Casco Bay Vet Team. We are all very excited to have such an experienced Veterinary Technician on our team. Karen joined the team recently and has brought a wonderful warmth of compassion to the practice. You will always find her with a smile on her face and positive outlook. Dolly has been with us for over 20 years. She was a receptionist for a majority of that time and has recently become a technician assistant. In her spare time, Dolly enjoys playing bingo, rollerskating, horseback riding, spending time with her dog and family. 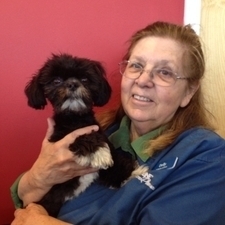 Dolly has been a fixture at Casco Bay Vet since its inception in 1989. Her roles have changed over the years, but her devotion and loyalty to the cause has not. She remains an integral part of our daily operations. Stephanie was borm and raised in Maine. She earned a degree in Biology from Suffok University in Boston. After graduating she pursued a career in medical research. After moving back to Maine she quickly realized her passion of working with and caring for animals and has not looked back since! In her free time Stephanie enjoys reading, hiking, trying out new restaurants and spending time with her cats Mose and Axle and her dog Elliot.